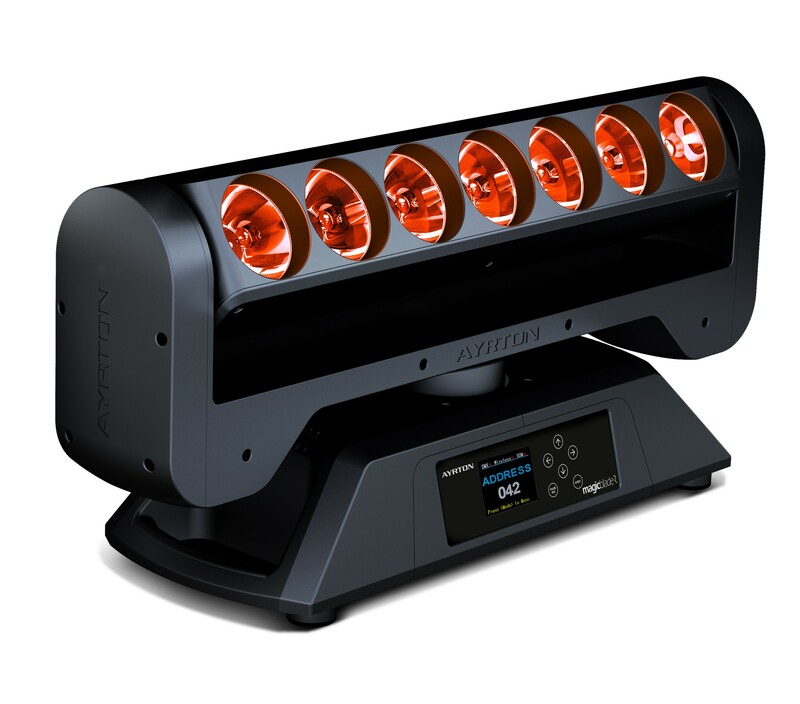 The most unique feature of the newly designed Ayrton MagicBlade-R is the layout of its 7 RGBW LED sources in-line, coupled with the highly intensive angle of the optics. The MagicBlade-R has a very high centre beam intensity which enables excellent visual perception of the beams. The Ayrton MagicBlade-R has a nice compact design which reduces the visual footprint of its luminaires. This enables the creation of many new effects and means it can be situated in unique positions on set. Production Hire own a state of the art Ayrton MagicBlade-R for dry hire to support your live music event. – High-resolution stepper motors operated via microprocessors ensure extreme accuracy and smooth movements. Call or contact us for your free no obligation quote regarding Ayrton MagicBlade-R dry hire. One of the Production Hire team will be happy to help.